dressed up like a lady: More blasts from the past. You know how some things make you cringe with embarrassment? Well, do somethings also kind of make you giddy with embarrassment? Where you feel silly and dumb but in a way that's kind of gleeful and awesome? I feel like this is my reaction to most of my own ridiculousness. 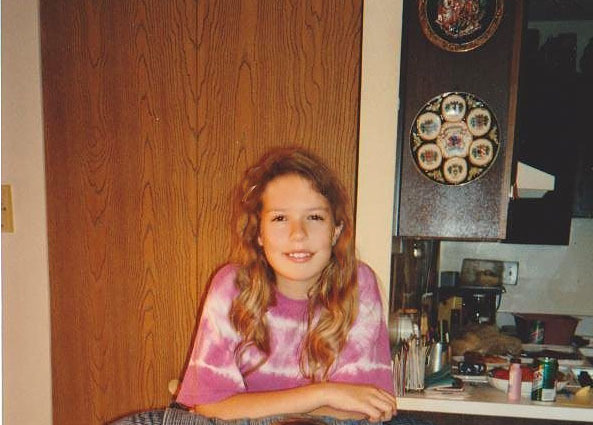 When I fall down or say something idiotic or dig up pictures of my pre-teen fashion mishaps, I rarely seem to have the normal human reaction of wanting to curl up and hide, but rather I suffer the impulse to excitedly point and laugh at myself with beet-red delight, as if to say "Iknowright? Just look at me!" Something in my brain just ain't wired right. But I'm willing to bet it's more fun this way. 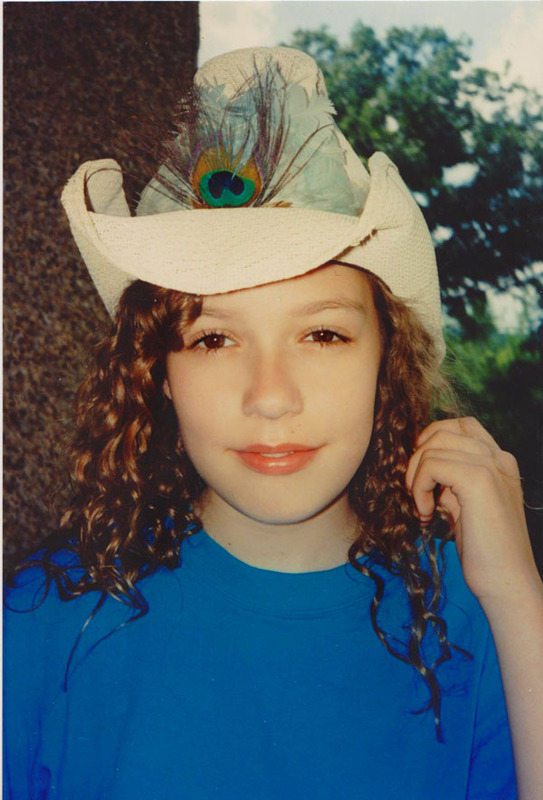 Anyway, that's a long way of explaining that I dug up a handful of truly awkward looking pictures of myself from ages 11 and 12, and they're just too insane for me not to show you. 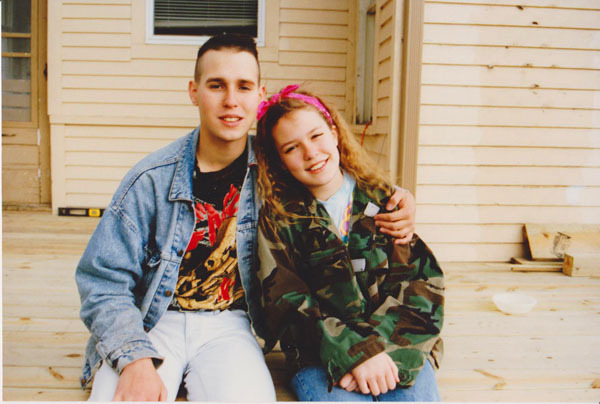 Me and my brother John while he was in the 82nd Airborne. I'm wearing his fatigues, and did so constantly. Good God, I don't even know what to say. 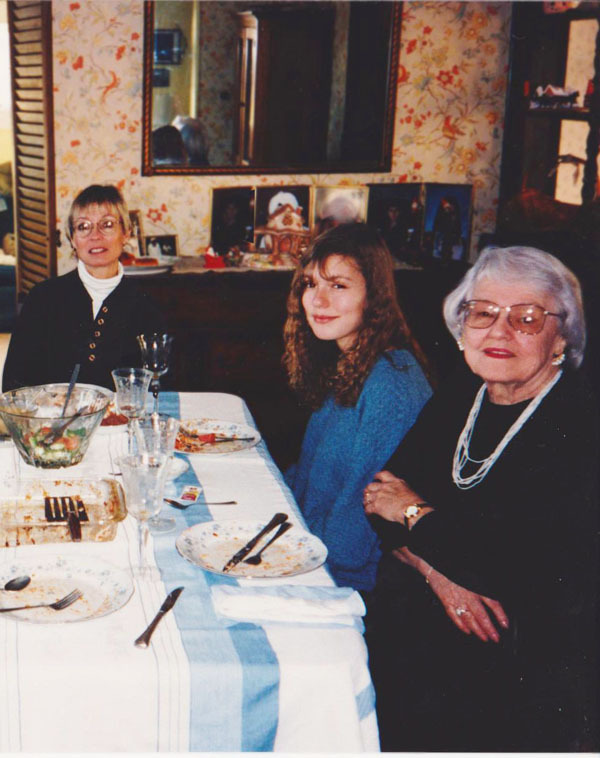 With my mom and my grandma at Thanksgiving. Dig our acid trip wallpaper. 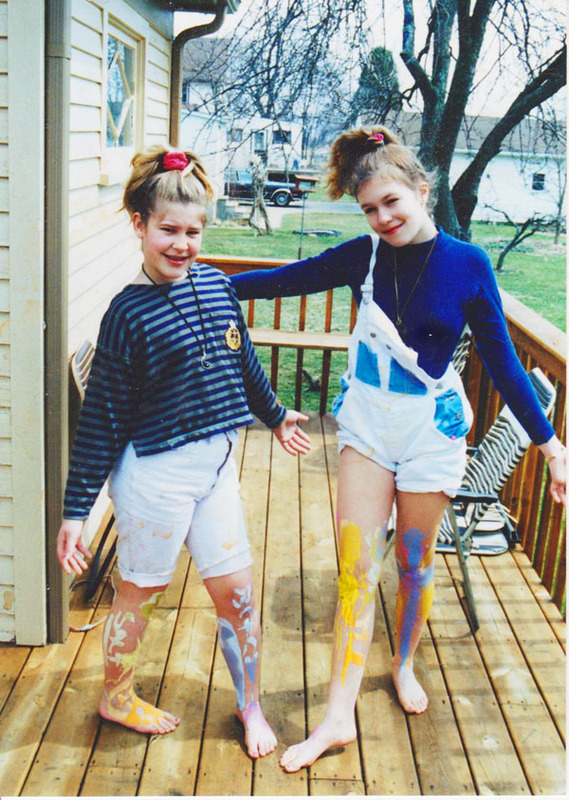 With my BFF Meredith, having apparently lost control of ourselves during an art project. 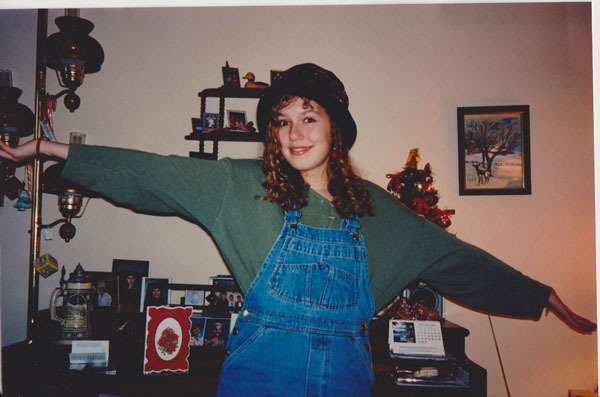 I am totally one-strapping those overalls LIKE A BOSS. Awesome pics! I love the hat in the 1st picture and the one with your brother! I fall into the other category of "ooh, hide that one!" but will secretly pull them out to gawk at alone. I am pretty sure you and I would have been BFFs if we lived nearby... perhaps just so we could have swapped overalls and floral babydoll dresses. Your "Good god, I don't even know what to say" look is very reminiscent of Blossom, thus making is an AWESOME outfit! That must be great fun to watch these after all these years. You were adorable even then! I love that first one. It is amazing how your face looks pretty much the same now.